It is taking little man a bit of time to adjust to UK time again after our holiday to Cuba. We’ve had to stop his daytime naps to try and get back our routine, although on Friday he didn’t wake up until 8:40 and I felt like a new person! 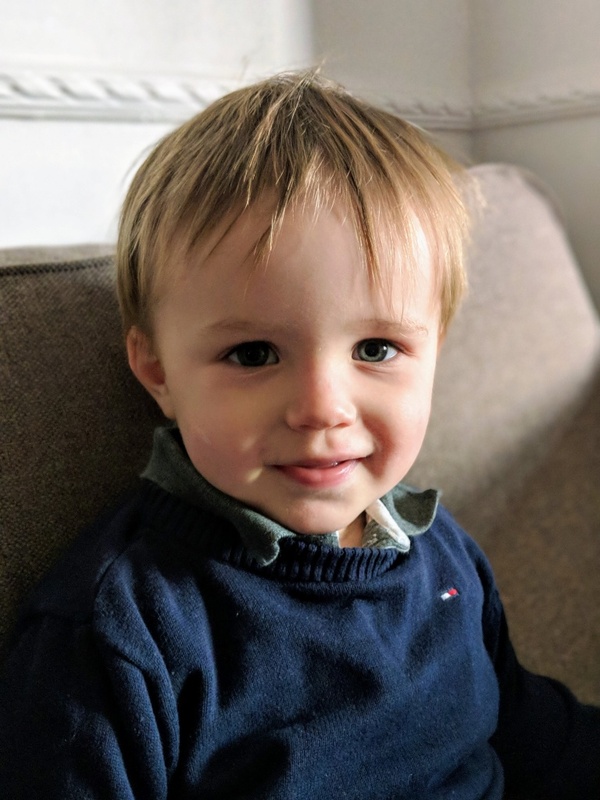 Little man was officially 18 months old as of yesterday. He is looking such a mini-gent these days as you can see. The bond between boy and cat seems to have strengthened with us being on holiday and Orla Kitty going to the cattery. 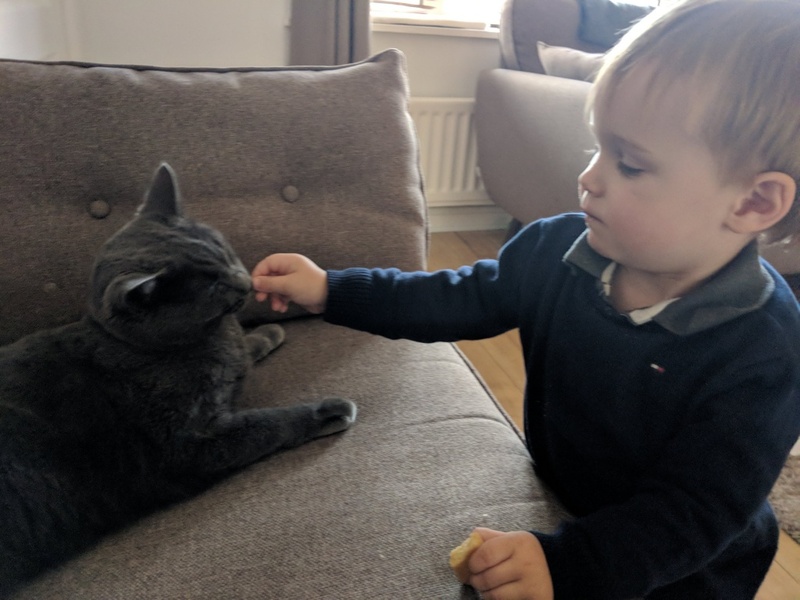 The cat goes to sit next to RLT willingly now, I thought it was an absolute breakthrough and such a change from her going in the opposite direction; until I witnessed him feeding her shortbread biscuits and then it all made sense. These two have bonded over their love of butter. I cracked the Christmas shortbread open on Saturday and it didn’t take either of them long to cotton on to the fact that shortbread is one of the best things on earth. Now I am thrilled they’ve bonded, but sadly will have to break this party up as cat diabetes is serious and pretty sure she shouldn’t be eating any kind of biscuits let alone shortbread! Oh look at that smile, he is gorgeous! He’s such a gorgeous boy, I can’t believe how grown up he’s looking!